Kootenai Health Expansion Project Kootenai Health is building a 3-story expansion set to open in early 2016. Learn more at kh.org/expansion. 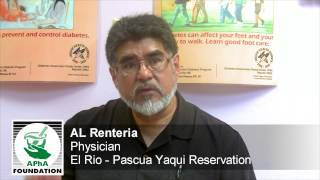 El Rio Community Health Center - Pascua Yaqui - After Project IMPACT: Diabetes The El Rio Health Center's free clinic on the Pascua Yaqui Reservation serves a Native American population with more than 40% of people living below the federal poverty level. To learn more about Project IMPACT: Diabetes, visit www.aphafoundation.org. 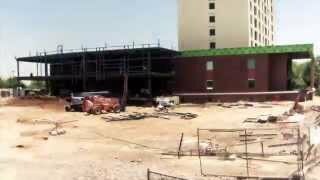 El Rio Community Health Center - Pascua Yaqui - Before Project IMPACT: Diabetes The El Rio Health Center's free clinic on the Pascua Yaqui Reservation serves a Native American population with more than 40% of people living below the federal poverty level. 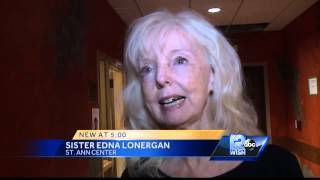 In this video, community members discuss the local patient population, barriers people face to receiving quality health care, and the type of care that was being provided before Project IMPACT: Diabetes was implemented. Building Mountain Park's Gateway Clinic Mountain Park Health Care employees discuss the construction of the new Gateway Clinic. Cincinnati, Ohio (April 13, 2010) It takes nine partnering organizations, $37 million and a lot of cooperation and perseverance to re-adapt an iconic 1920s hotel as an office anchor for an urban neighborhoods revitalization efforts. Especially in this economy. But, in Cincinnati, Ohio the project and investor teams have aligned for the 2010 construction start that transforms the former Vernon Manor hotel, where President John F. Kennedy and the Beatles once stayed, into office space for world-renowned Cincinnati Childrens Hospitals continuing growth. 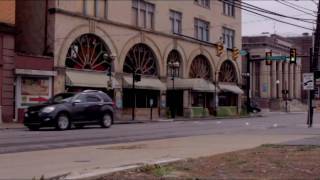 The hotel sits in the heart of a central Cincinnati neighborhood called Avondale, which has struggled with revitalization efforts. City of Cincinnati Mayor Mark Mallory and City Manager Milton Dohoney, Jr. joined State of Ohio Regional Director Brewster Rhoads and Cincinnati Childrens Hospital Medical Center President and CEO Michael Fisher April 13 in a public celebration of the redevelopment team, schedule, and financing in place. The new Vernon Manor offices will accommodate more than 600 employees from Cincinnati Childrens, creating new capacity for the medical center to expand at other locations, including its main campus. Cincinnati Childrens Hospital Medical Center has signed a 17-year lease. The repurposing of the Vernon Manor follows our GO Cincinnati strategy, which focuses on developing the life sciences and health care sectors that are creating significant job growth in the next 10 years, according to Cincinnati Mayor Mark Mallory. Al. Neyer will start renovation work on the 171,000 square-foot, seven-story building this month. Work on a 440-car parking garage begins July 2010. City Manager Milton Dohoney, Jr., said the retained jobs from Cincinnati Childrens contribute $600,000 in annual earnings tax revenue, while the new jobs created from this expansion are likely to contribute over $800,000. The City of Cincinnati and State of Ohio partnered on a financial assistance package worth $7.1 million to the redevelopment, including a $10.5 million public parking garage. This agreement has the City purchasing and owning the parking garage for 25 years, utilizing tax-increment financing through the Corryville neighborhood. State of Ohio has approved $7.5 million in loans that will be used to finance the garage construction as the city pays for the garage over the 25-year period. Al. Neyer will operate and manage the garage. Al. Neyer, Inc. Executive Vice President Laura Brunner said garnering state, city and community support early on for the complex redevelopment, working with tenant Cincinnati Childrens Hospital Medical Center on project goals, and successfully pitching project ownership to local African-American investment leadership group REEAAL, LLC., are accomplishments that will transcend the initial success of this project for decades to come.This project is a key economic development project that will both be an anchor in the Avondale community and expand the capabilities of Cincinnati Childrens Hospital, which means more jobs, according to Mayor Mark Mallory. It also fits into our GO Cincinnati economic development strategy as a employment sector that will be growing over the next several years. Reinvestment Fund Project Profile: Newark Community Health Center Newark Community Health Centers, Inc. (NCHC) is a private, nonprofit Federally Qualified Health Center (FQHC) that has been providing comprehensive primary care services to children and adults in the greater Essex County area of New Jersey for over 25 years. With six locations, NCHC is the largest health care provider for the uninsured and medically underserved populations in New Jersey's largest city. NCHC is transforming its headquarters facility in North Newark with a significant expansion and modernization that will increase capacity and improve accessibility. TRF financing in partnership with the Low Income Investment Fund and the Kresge Foundation will help the facility triple the number of medical exam rooms and double its dental suite. 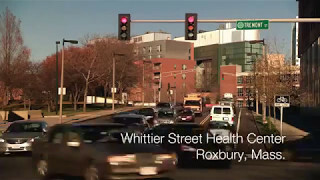 The Whittier Street Health Center, a 75-year-old, nonprofit community health clinic in the Roxbury neighborhood of Boston, involved the new construction of a six-story, 78,900-square-foot community health facility. 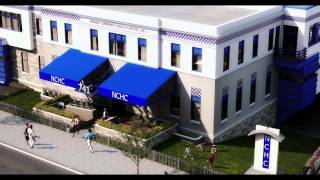 Enterprise provided $15 million in New Markets Tax Credit (NMTC) allocation to the project. The new facility replaces 33,000 square-feet of leased space in the same neighborhood and allows Whittier to serve a larger number of patients and expands the types of services offered. The project nearly doubles the size of Whittier's clinical operations and includes complementary health services in partnership with the Dana-Farber Cancer Institute, the Whittier Pharmacy and a physical therapy office. 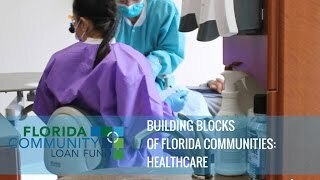 FCLF and CFHC: Building Blocks for Low Income Healthcare Florida Community Loan Fund, FCLF, provides expertise and capital to help drive positive economic and social change in low-income communities. With financing from FCLF and the New Markets Tax Credit, NMTC, Program, Central Florida Health Care, CFHC, is addressing healthcare needs of low-income Floridians. Together we are providing building blocks for Florida communities. Case Study: Brockton Neighborhood Health Center Learn about Reznick Reznick Group's role in the NMTC financing of this low-income community health center. 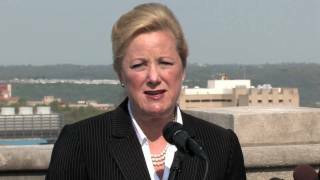 In addition to serving the healthcare needs of Brockton, Mass. residents, it is also the largest employer in the city. Wells Fargo delivers mental health and addiction services in Portland The Old Town Recovery Center is now open to those with mental health and addiction challenges in Portland, Ore., thanks to New Markets Tax Credit financing through Wells Fargo. Learn more about our high-impact lending and investments in communities nationwide at https://www.wellsfargo.com/nmtc. 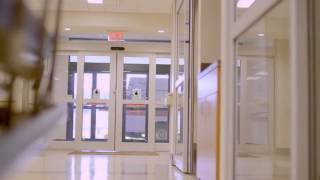 Community Health Care -- What Works | LIIF Annual Report LIIF's investment in What Works is enabling Community Health Care to serve over 17,000 patients annually in a new regional health care center in Tacoma, WA. Visit http://www.liifund.org/annual-report to watch more videos and learn more about the people and places LIIF has supported over the last year.